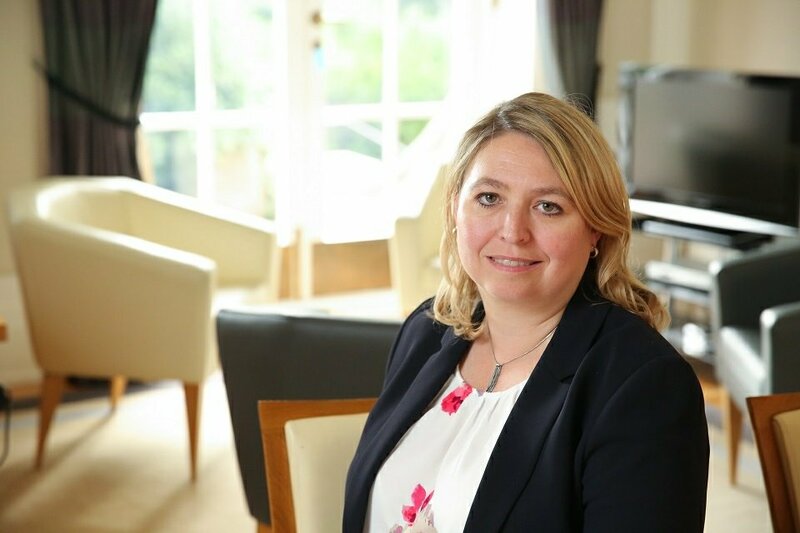 The Secretary of State for Northern Ireland, the Rt Hon Karen Bradley MP, gave the following speech to the Annual Conference of the British-Irish Association on Friday 7 September 2018. Secretary of State Karen Broadly, photographed at Stormont House. Since 1972 the BIA has played a key role in bringing together politicians, civil servants, academics, business people, faith leaders, journalist, commentators and many more to promote dialogue and understanding throughout these islands and to try and shape a better future together. So thank you for everything you have done and I am sure will continue to do in the years to come. This is of course my first BIA conference since the Prime Minister asked me to take on the role of Secretary of State for Northern Ireland in January, something that I had absolutely no hesitation in accepting. And as Secretary of State, I know what an amazing place Northern Ireland is and what it has to offer. Indeed, it’s not surprising that nearly all of my predecessors look back on their time with huge affection, with a number regarding it as the most rewarding and important job they ever had in government. So as I’ve gone out and about over the past nine months, meeting as many people as I can, it’s impossible not to be struck by the warmth of the place. Its beauty, its spirit and, yes, its history but also its massive potential. I’ve made a point of visiting with my family some of the great attractions that Northern Ireland has to offer: the Fermanagh lakes, the Giant’s Causeway, the Titanic Visitor attraction, to name but a few. And each time they can’t wait to come back for more. So Northern Ireland is a very special place, and I believe one with a great future. And this year of course we have been marking the 20th anniversary of the Belfast or Good Friday Agreement, an historic landmark in the history not just of Northern Ireland but of these islands as a whole. It was, as I said in April, a triumph of politics over the previous decades of violence, division and despair. Twenty years on it is perhaps easy for some to lose sight of the magnitude of what was achieved in 1998. So let me spell some them out. The constitutional position of Northern Ireland settled on the principle of consent. The Irish constitution amended to reflect that fact. Political institutions to accommodate and give expression to both the main traditions in Northern Ireland. Strong new bodies to foster greater North-South and East-West co-operation. Powerful protections for people’s rights, culture and identities. Reforms to make policing and the criminal justice system more accountable and acceptable across the community. And of course the consequences of all of this: a more peaceful, stable and prosperous Northern Ireland that is in so many ways unrecognisable since the dark days of the troubles, notwithstanding the severe threat we continue to face from dissident republicans. All of these gains were hard fought, the result of years of painstaking discussions and negotiations, and we should never forget just how precious they are or indeed shy away from making the case for the 1998 Agreement. It is our duty to do whatever is necessary to protect and defend it, and that is what this Government will continue to do. So let me reiterate for the avoidance of any doubt: the UK Government remains steadfast in its support for the Belfast Agreement, the bedrock on which the progress across the three interlocking relationships – within Northern Ireland, between Northern Ireland and Ireland and between the UK and Ireland – has been made over the past twenty years. We will do nothing that undermines this, including as the UK leaves the EU next March. And over recent years Northern Ireland has continued to take many great steps forward, not least on the economy. Unemployment, which in 2010 stood at just over 7 per cent, is now 3.8 per cent, one of the lowest figures on record and significantly below the EU average. Meanwhile employment, at just over 69 per cent, is at near record levels. In all, 63,000 more people are in work in Northern Ireland today than in 2010 … with nearly 19,000 new jobs in the past year. That’s more people with the security of a regular pay packet for them and their families. Average weekly earnings have grown at a faster rate in Northern Ireland than in any other UK region. There are over 12,000 more businesses than was the case 8 years ago. Over 900 overseas companies have invested in Northern Ireland, making it the most popular location for FDI outside of London and the South East – the highest number of FDI jobs per head of any part of the UK. Since 2011, exports are up by 11per cent, and external sales, including to the rest of the UK, are up 18 per cent. Tourism is booming, as anyone who has seen the cruise ships docked in Belfast this year will testify. We have more people staying for longer than ever before, with impressive new hotels to accommodate them and more in the pipeline. And of course next year the eyes of the world will once again be on Northern Ireland as the oldest and most famous golfing championship in the word, the Open, is played at Royal Portrush. None of this has happened by accident. It has been the result of the hard work of the people of Northern Ireland, with productivity increasing in Northern Ireland at a faster rate than in any other UK region. And, I might add, a fiscally responsible UK Government prepared to take the necessary measures and pursue policies at a national level to allow business and enterprise to thrive across the whole of the UK, with the result that we now have the lowest levels of unemployment across the country than at any time in over 40 years. A UK Government that despite severe pressures on public expenditure continues to recognise Northern Ireland’s special circumstances through generous support in the Block Grant. We have maintained public spending in Northern Ireland at around 20 per cent per head higher than the UK average. Over the current spending review period UK Government financial support to the Northern Ireland Executive has increased by 5 per cent in real terms. The Prime Minister’s recent pledge of an additional £20.5 billion to the NHS by 2024, which means an extra £760 million a year by 2023-24 for Northern Ireland under the Barnett formula. We’ve helped hard working people: some 745,000 people in Northern Ireland will have gained by an average of £182 as a result of our increases to the personal allowance and higher rate tax threshold. We’ve increased the National Living Wage to £7.83, delivering a £600 annual pay rise to full-time workers in Northern Ireland. And we’ve committed substantial additional security funding to help the PSNI tackle the continuing terrorist threat: £160 million over this spending review period and £230 million in the last one. These are just a few examples of how Northern Ireland has shared in our national economic recovery in recent years, and how Northern Ireland benefits from the strength and security of being part of the world’s fifth largest economy. Yet for all the successes there are significant challenges too. Economic growth in the past year has been flat, lower than the UK as a whole and in Ireland. Rates of economic inactivity remain higher than in other parts of the UK. Hospital waiting lists are longer than in England and are getting worse. There are other examples of where a current lack of ministerial decision making is holding Northern Ireland back. Corporation tax has yet to be devolved, meaning that Northern Ireland remains at an economic disadvantage when it comes to competing for foreign direct investment with Ireland. Construction projects worth up to £2bn are at risk due to the lack of key planning decisions, including plans for a new £30m quay for cruise ships, a new £175m transport hub for Belfast, a £280m power plant, the North-South electricity interconnector worth around £200m and a £50m office block at Belfast Harbour. Strategies for building a stronger society and a shared future, as well as tackling paramilitary activity, have lost momentum. And of course while I continue to ensure that Northern Ireland’s interests and needs are represented at the heart of Government, Northern Ireland would be better placed to meet the challenges and opportunities of Brexit with an Executive in place. In the absence of a devolved Executive we have brought forward measures at Westminster to ensure good governance and stability. And before the summer recess I announced plans to bring forward legislation enabling me to make key public appointments, for example to a reconstituted Policing Board. But none of this is any substitute for devolution – a locally elected Assembly and Executive taking decisions on behalf of all the people of Northern Ireland. And while I am not saying that a devolved government would solve all the problems I’ve just mentioned overnight, I am convinced that it could make a real difference to people’s lives and helping to unlock even further the undoubted and enormous potential that Northern Ireland has to offer. The absolute priority, therefore, for this Government – as I know it is the Irish Government – is to see a restoration of the devolved power sharing institutions at Stormont, and all the other related bodies, at the earliest opportunity. And yesterday in the House of Commons I set out a plan to try help bring that about. I announced that I intend to bring forward legislation that will provide for a limited and prescribed period in which there will be no legal obligation to set a date for an election. Importantly, during this time an Executive may be formed at any point without the requirement for further legislation. This will provide the opportunity to re-establish political talks aimed at restoring the Executive as soon as possible. The legislation I intend to introduce after the party conference recess will also include provisions to give greater clarity and certainty to enable NI departments to continue to take decisions in Northern Ireland in the public interest and to ensure the continued delivery of public services. I intend to consult parties in Northern Ireland over how this might best be done. I also intend, therefore, to use the next few weeks to engage in further discussions with the parties and the Irish Government, in accordance with the well-established three stranded approach with the intention of establishing a basis for moving into more formal political dialogue that leads to a restoration of the institutions. Finally, I also announced that I would be bringing forward a reduction in MLA pay. I believe that the people of Northern Ireland want to see a restoration of their political institutions and that is what this Government is committed to achieving. Stable and effective devolved government is the right thing for Northern Ireland. And I am in no doubt that it is best for the Union. With many thanks to: GOV.UK for the original posting.